RSS is important for me. It’s how I stay up-to-date on all my gaming news and gives me the info I need to create new posts for PowerUp. It’s my morning newspaper with a cup of coffee. 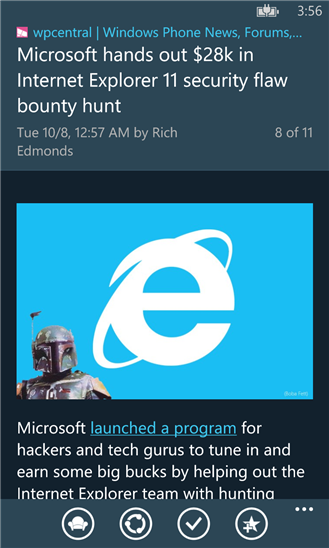 As far as RSS readers go on Windows Phone, Nextgen Reader is easily the best I’ve put on my phone. The application connects to a Feedly account and gives you access to the feeds that matter on the go. While I’ll encourage you to support the developer and shell out the $1.99 the full app costs, it does feature an unlimited ad-free trial. I will never shy away from the fact that I’m a Microsoft fanboy. My home is well equipped with a number of devices that are powered by Microsoft software. My first smartphone was the Motorola Moto Q9c. While Windows Mobile may not have been the best of mobile phone operating systems, it supplied me with what I needed in my pocket: Microsoft Office. The reason I’ve stayed so dedicated to Microsoft’s mobile platform even in its more bloated iterations was the fact that I had Microsoft Word with me wherever I went. As a writer, this was more important than any number of apps could ever be – syncing my documents to the cloud back before OneDrive was even SkyDrive (back in those days, your phone synced up with “Microsoft MyPhone” and Office Online was known as “Office Live”). Thankfully, Microsoft has moved miles beyond what they were doing with Windows Mobile with the launch of the Windows Phone operating system. Their partnership with Nokia has also helped to reinvent their image in the portable market by giving consumers highly durable, yet sleek mobile phones made by one of the most recognizable names in the cellphone world. While Windows Phone 7 may not have set them up as an industry leader, it was a necessary step in providing their best mobile operating system yet, 2012’s Windows Phone 8. Built on the same kernel running Windows 8 PCs, Windows Phone 8 provides a huge promise for what can be done on mobile phones. Verizon users looking to get a Windows Phone have, until relatively recently, been restricted in the hardware available to them. While there were Windows Phone devices available, it wasn’t until the Nokia Lumia 928 was released that we really saw a powerful phone running Microsoft’s mobile OS. The small footprint of Windows Phone 8 made the limited hardware less restricting, but users, understandably, wanted something more. The 928 didn’t disappoint, either – it was a fast phone with a beautiful display, sleek yet durable design, and excellent imaging capabilities. Nevertheless, technology can always be better. 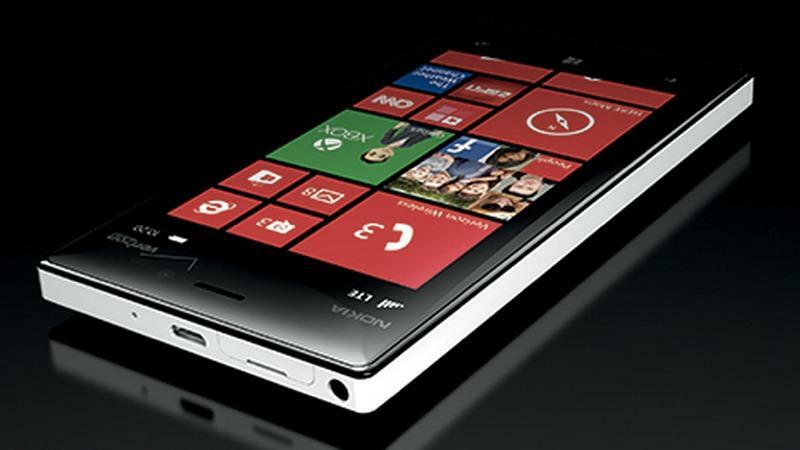 Enter the Nokia Lumia Icon. 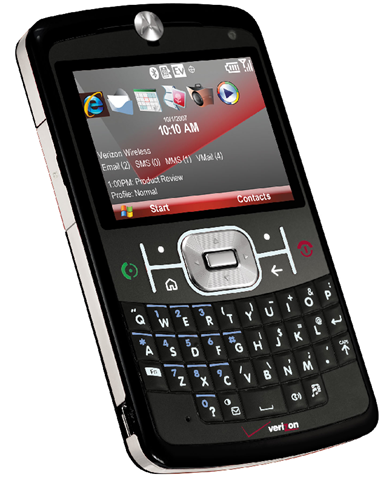 Originally leaked as the Lumia 929, Verizon’s new flagship Windows Phone is a marvelous piece of portable technology. Side by side, the phones are almost identical in physical size – turn on the display, though, and you’ll see a huge difference. The Lumia 928 features a 4.5” AMOLED display at 1280 x 768 resolution and a pixel density of 334 ppi. An impressive screen and it, inarguably looks gorgeous. Place it next to the Icon, though, and you’ll be ready for an upgrade. The Lumia Icon screen is a 5” display with a resolution of 1920 x 1020 and a pixel density of 441 ppi. That’s a noticeable difference. Throw in an extra column for pinned apps on the start screen, and you’ll barely believe that they managed to put that all in a body the same size as last year’s 928. The display is absolutely gorgeous, too. Everything I’ve seen on my new screen is vibrant and crisp. Looking just at messages, the screen’s crispness is a whole new world as even under my closest inspection, it’s difficult to spot those pixelated “jaggies” around curves. Contrast is also excellent as I’ve noticed a number of apps that have a distinct differentiation between a dark grey and a black that wasn’t nearly as noticeable on my 928. I don’t doubt that I will at times pull my phone out just to stare at how clear it looks in my hand. The .5” difference between the Icon and the 928 is immediately noticeable, too, as the display extends closer to the phone’s outer edge reducing the bezel to a thin black border. Games, videos, and just apps in general look so much better on this larger, higher resolution screen. That said, I think the thing I like most about my Icon’s larger display is Nokia managed to give me more screen space without bulking up the phone as a whole. I don’t have large hands, and I don’t have large pockets. I appreciate the idea behind the “phablet,” but I really don’t like the added bulk or the ridiculousness of sticking an oversized phone to my ear. I want a portable device to be portable. The Icon gives me the best of both worlds: I have a powerful phablet with a large, gorgeous display, but it all fits in the palm of my hand – and my pocket! I, honestly, don’t think I can stress enough how thankful I am to have the option of a powerful phablet without having to handle the bulk of one. On the topic of power, the Lumia Icon is a beast. I loved my 928 – it was easily the best device I could fit in my pocket up until the moment I left the store with my Icon. It was fast, the battery was great, the screen was beautiful… but the Icon has shown me just how much better it can get. Featuring a Snapdragon 800 – a “system on a chip” featuring a 2.2 GHz quad core CPU – along with 2 gigs of RAM, this phone clips right along. I was surprised to see how much more responsive this phone felt in comparison to the 928 – a phone I felt was substantially fast already. Opening apps, multitasking, and just simple navigation are hugely improved by how this system outperforms its impressive predecessor. In spite of the powerful guts of this machine, the Icon boasts an impressive battery life with its 2420 mAh battery. Another important talking point for the Icon is its 20MP camera. While Nokia’s own Lumia 1020 is still the king of mobile phone cameras (featuring a 40MP camera), it’s only available through AT&T. Verizon members looking for an impressive camera on their phone will still be plenty pleased with the Icon’s offering. The image capture is truly impressive with the camera’s six lenses, and video capture is equally impressive with its crispness and sound quality. The Icon features 4 microphones and reduces ambient noises to ensure that what you’re trying to record is what you are going to hear. I haven’t had much opportunity to put the noise cancellation to the test, but the comparison video between the Icon and the Samsung Galaxy S4 is impressive. I also noticed a huge improvement of zooming while recording videos compared to my 928. While you will still see that zoom jitter that is seemingly inescapable with cellphone cameras, the Icon is noticeably smoother with zooming during video recording. Honestly, my only one gripe with the Icon is the lack of support for the Glance screen. Especially how excited I was to get my notifications on Glance with the Lumia Black update that (finally) hit Verizon. 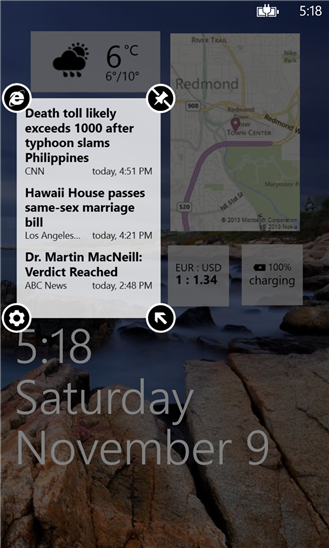 Glance provides users with a quick look at important information like time and notifications. Having no support and no words on an update to include Glance support for the Icon is disappointing, but I feel the good outweighs this minor complaint by a large margin. Nokia never fails to impress with the quality of their devices, and the Icon is no slacker. It’s an incredibly powerful phablet with a more manageable form factor easily fitting into any hand. The screen is absolutely gorgeous and coming equipped with Lumia Black gives even more functionality to the Windows Phone OS. If you’re looking to get a Windows Phone on Verizon, you can’t do better than the Lumia Icon. Something included with the Lumia Black update available for Lumia devices on AT&T is the App Folder. 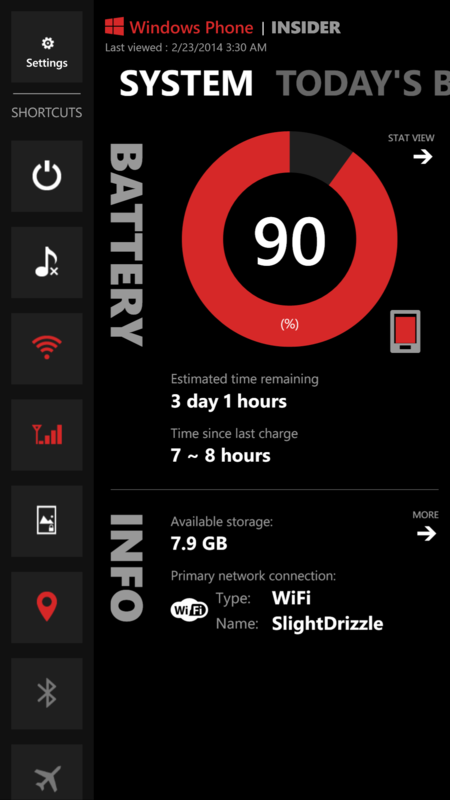 Sadly, Lumia Black isn’t available on Verizon phones – however, the App Folder application is. 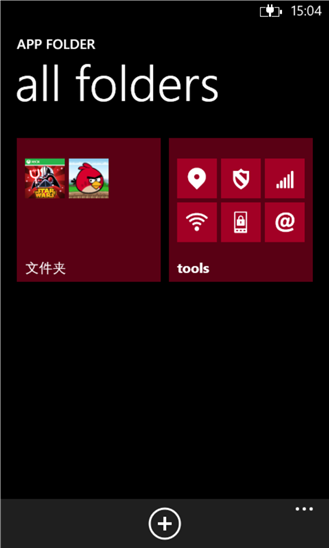 I’ve been wanting app grouping on my Windows Phone similar to Windows 8’s app grouping since I got it. That’s unlikely to happen. However, having folders for my apps allows me to keep all of the apps I use on a daily basis on my Start Screen while reducing clutter. You can create folders within the app and pin those folders to the Start Screen. It does have some cons as it’s not as fast as just launching the app from the Start Screen, but the benefit of keeping things in order is certainly worth the minor inconvenience. While it might not be the largest demographic of smartphone owners, Windows Phone does have a solid presence in the world of mobile computing. That said, it’s not as heavily covered or supported as the iPhone or Android devices. There’s still plenty available on the Windows Phone marketplace with, but there’s not nearly as much awareness for what’s out there. Being the proud owner of a Nokia phone, I do what I can to discover what’s out on the marketplace and have made it my purpose to share my findings with you. Apps that are deemed useful or just generally awesome by me will be featured in an article with a link to its location in the store for easy access. I would also like to mention that I have an app currently being certified for Windows Phone devices and will totally feature it out of pure bias for myself and my upcoming web series. That is all. Microsoft made a bold business move with acquiring their mobile phone partner Nokia. The deal is worth 7.2 billion dollars and includes Nokia’s mobile phone division and a 10 year contract for Nokia’s patents. Said contract can be extended indefinitely. With Nokia being the biggest and inarguably best provider of Windows Phone devices, the move makes sense for Microsoft. The software giant is currently making a push to encompass a more rounded structure that includes devices and having a division for mobile phone development, especially one as highly regarded as the Nokia brand, under their banner will be a huge win for Microsoft. There will undoubtedly be some changes under the new ownership, but I have faith that Microsoft will help expand the brand and Windows Phone’s market share. As a Nokia phone owner and a Windows Phone user, I’m happy to have some confirmation that I’ll be able to upgrade to a new Nokia phone running my preferred OS when upgrade time rolls around. How do you feel about the Microsoft acquisition?